Prosthodontics is a field in dentistry that focuses on the restoration of dental implants and it marks dramatically progress in the last twenty years. Many of the previous guiding principles for placing dental implants have been changed or disappeared and their place is taken by new ideas and approaches. It is convenient that this evolution is considered with a two-sided point. At first, the science and art of prosthodontics is the result of very important lessons which are learned during the past twenty years. Second, thanks to the history of implant prosthodontics as it correlates to osseointegration gives a direction into the future road of clinical exploration and research aimed at continually enhance the state of art and also the care quality provided to patients. Prosthodontics is a specialty that considers the replacement of the missing teeth and other associated structures by restorations which are somehow attached to dental implants. It is good to know that crowns, bridges, and dentures are not the only option when it comes to replacing teeth which are missing. For many patients, dental implants create a natural smile that looks and feels perfect. Placed surgically below the gums, dental implants fuse to the jaw and they are ready to serve as a base for the replaced teeth. One thing to consider is that implants offer a great stability and support because of the fusion with the jawbone. 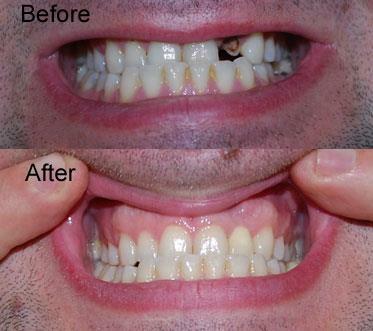 Some patients find this secure match more comfortable than the conventional substitutes when restoring missing teeth. All candidates for dental implants must have their gums in a health condition and they must have adequate bone for supporting the implant. The dental evaluation done by the chosen prosthodontist will determine if the patient is a right candidate for this treatment therapy. A Single tooth or multiple contiguous single tooth replacements. This type of implant restorations is among the simplest varieties. 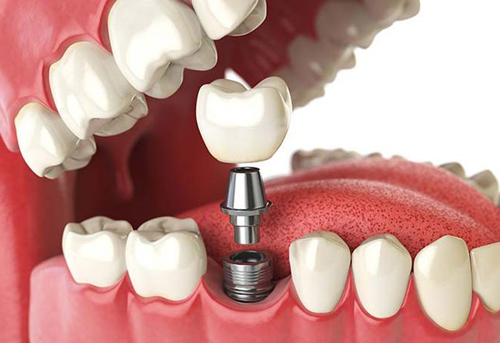 There are many abutments for implants which fit well to single tooth restorations. They could be prefabricated and custom made utilizing the UCLA-type cast laboratory abutments. 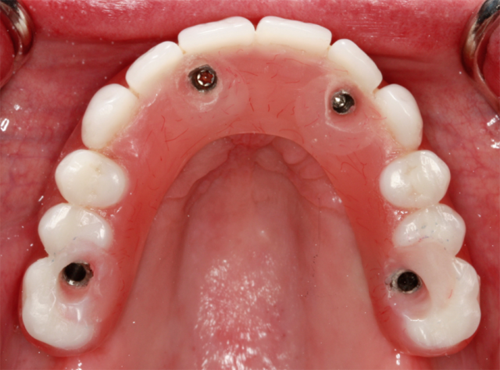 When the diagnosis is one missing tooth, then a single dental implant is indicated. It is the most realistic replacement of the tooth which is now available. The procedure begins with a surgical insertion of the implant that is securely anchored into the jaw. The bone which surrounds the anchor will heal for three to six months. When this period is over then, an artificial tooth is created. The final result is a new artificial tooth which is virtually almost identical to a natural tooth satisfying both points of view, aesthetic and functional. 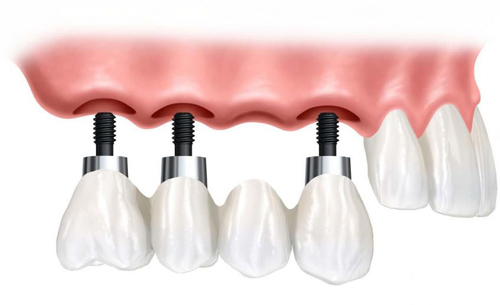 In those cases where the patient is missing several teeth, dental implants could also act as the teeth to which the new bridges would be fixed. Again, they would perfectly imitate the function and aesthetic of healthy and natural teeth. There is a possibility of a typical fixed prosthodontic clinical procedure to be performed. There are dentists who prefer the standard fixed prosthodontic technique, but many others find that the conventional technique requires more effort and time than the custom abutment procedure. Fixed prostheses could be constructed easily utilizing laboratory-formed abutments or manufacturer abutments. Many dentists would first recommend to their patients with an edentulous mandible arch the option of placing two implants with small spheres on them and O-ring type of attachments in the denture. This is a great opportunity also for those patients with a minimal outcome so they can spend additional money on obtaining a better result than with the conventional dentures. The placement of the implants is in the areas of canines. Another great thing about this dental solution is that it has an excellent acceptance from the patients. The standards time of wear is about eight to ten years and the O-rings wear out in about six to eighteen months. These implant-supported solutions are life-changing procedures which satisfy both, aesthetic and function. Most of the dental clinicians prefer the implant-supported prosthesis for edentulous jaws from the "bar and clip" type of supported removable prosthesis. For this technique, two to four implants are inserted in appropriated locations and allowed to fuse into the bone for four to six months. 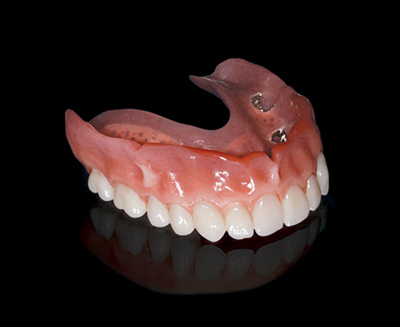 This type of prosthesis appears to be the favorite choice among clinicians because they are easy and simple to construct, less-expensive, easily repairable and provide an optimum aesthetic result. These prostheses are very similar to the original Branemark prostheses, but the concept has been improved and upgraded many times since the original creation. There are patients who like this dental solution even though the aesthetic is compromised and the access of oral hygiene habits is discussable. The advantages of this dental option are that the patients could eat everything they want because they feel similar to natural teeth. 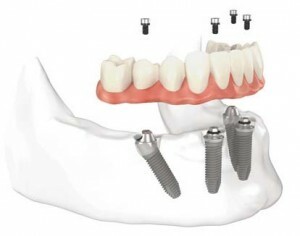 For this option, the clinician has to insert at least five to six implants, and many of them prefer to insert eight implants or even more for securing the potential implant failure. This type of implant prosthesis is the most stable dental solution but it is also the most expensive one. The most common used implant prosthetic solution has been presented and illustrated. They represent a great solution for restoring your smile and enhancing the possibility to chew and eat again. According to the patient’s amount of money he is willing to spend, he could choose the best option available to him. Together, with the dental clinician, they would find the most appropriate dental solution to get back the confidence of the patient, the mastication function, and the smile line. Every patient is its own story and his case is individual and demands different conditions for placing implants. Choose accordingly and come back in public with the smile you were always looking for. If you are interested in a treatment, you could visit our office in Manila/Philippines.